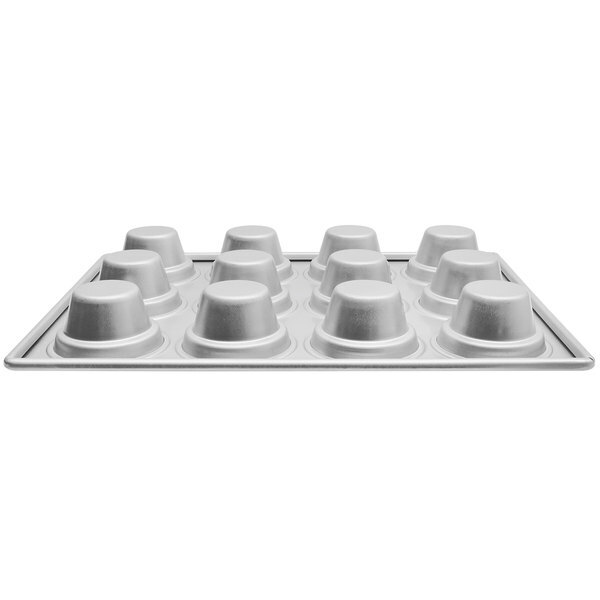 Capacity per Compartment 7.33 oz. 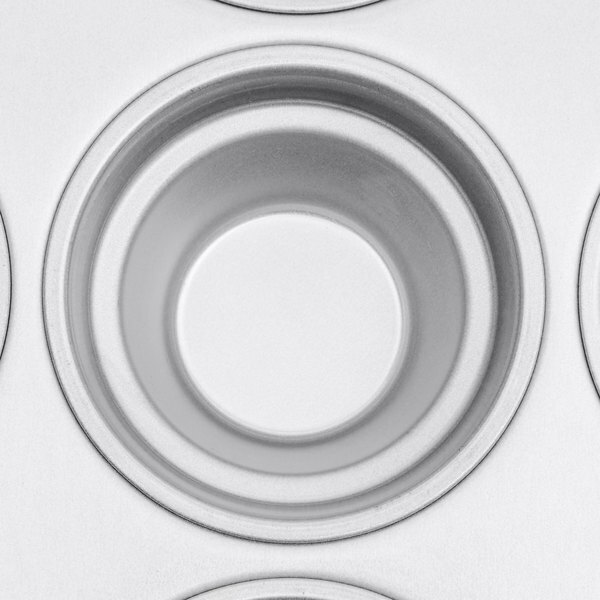 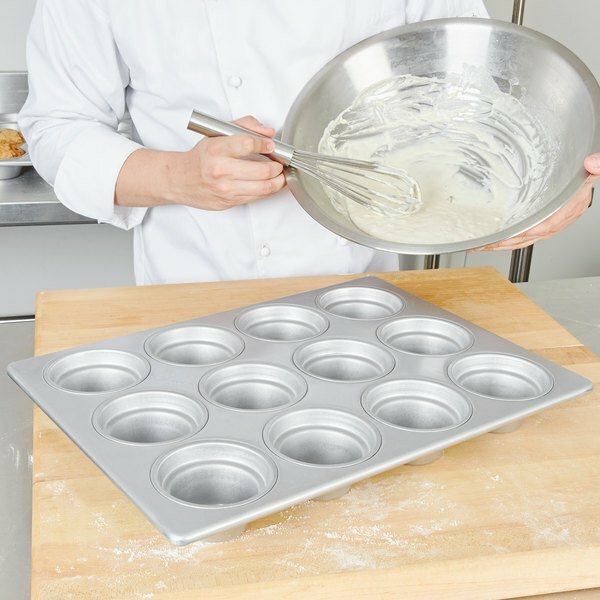 Create the tastiest cupcakes and muffins with this 12 cup glazed aluminized steel 7.33 oz. 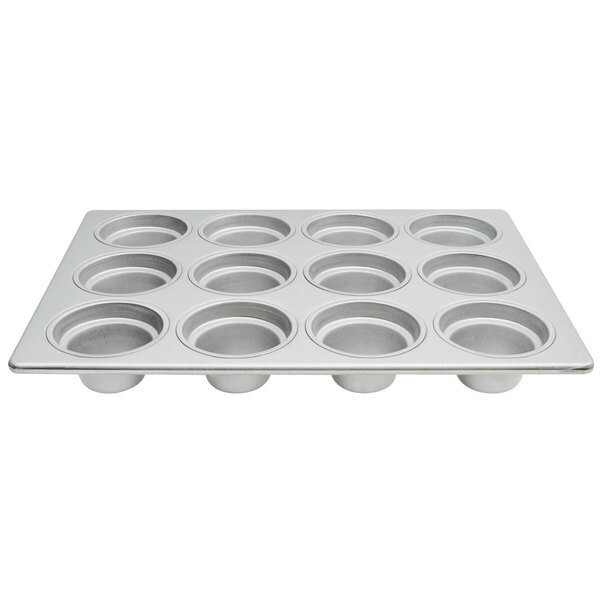 large crown muffin pan. 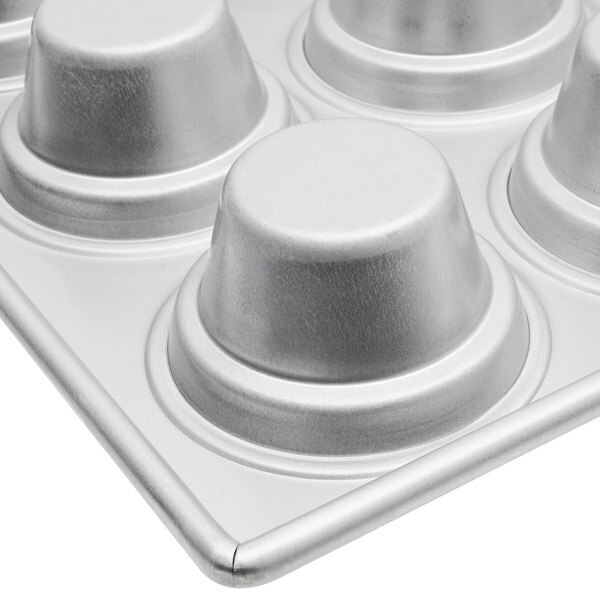 This pan has an aluminized steel construction that resists rust and corrosion. 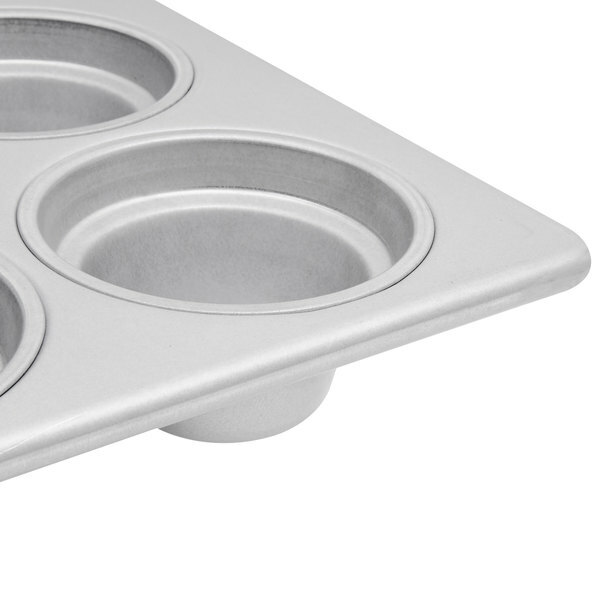 It also provides excellent heat distribution so you can trust that your muffins and cupcakes will come out of the oven evenly baked and perfect every time! 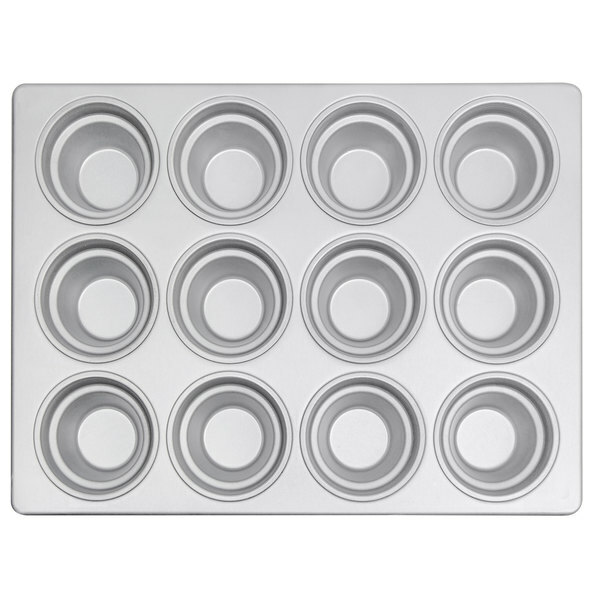 This pan has a unique step-down design to produce large crowned cakes each time. 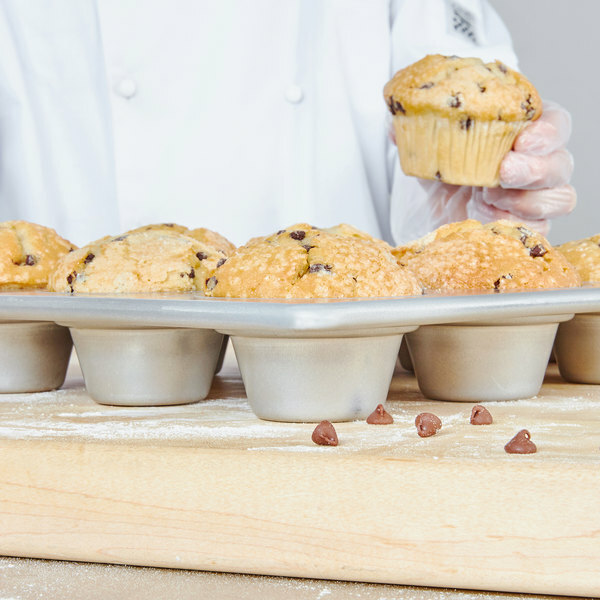 The silicone glaze allows for easy release of your baked goods, which also helps to save time and money by making cleanup a breeze. 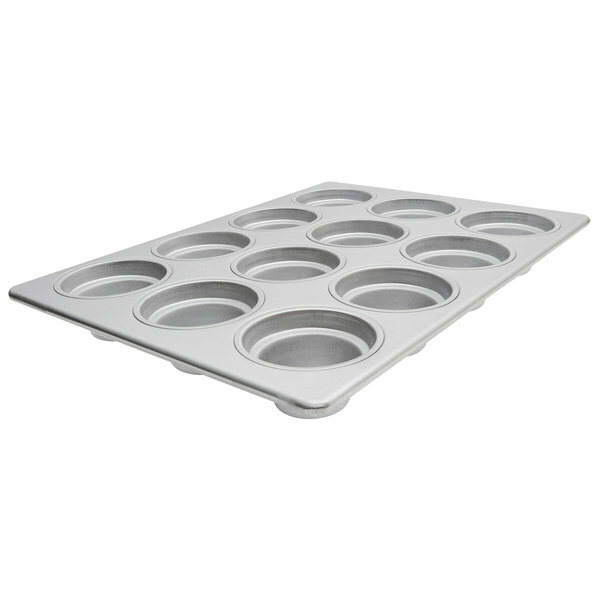 Perfect tray for large beautifully cooked muffins. 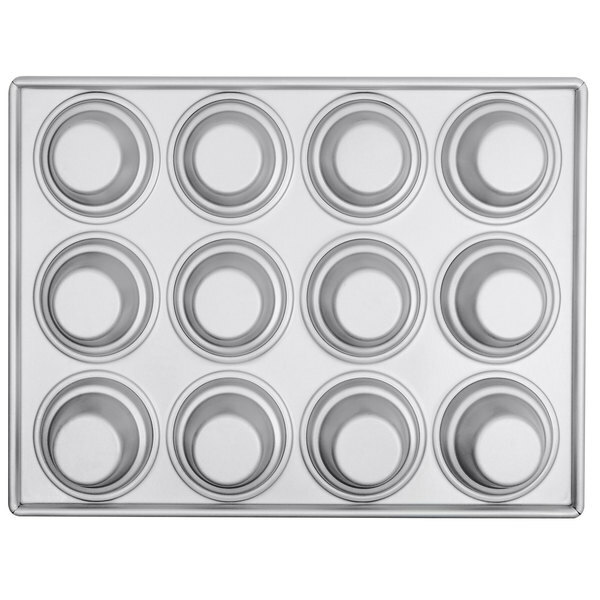 They never stick, they cook evenly, and it's easy to clean. 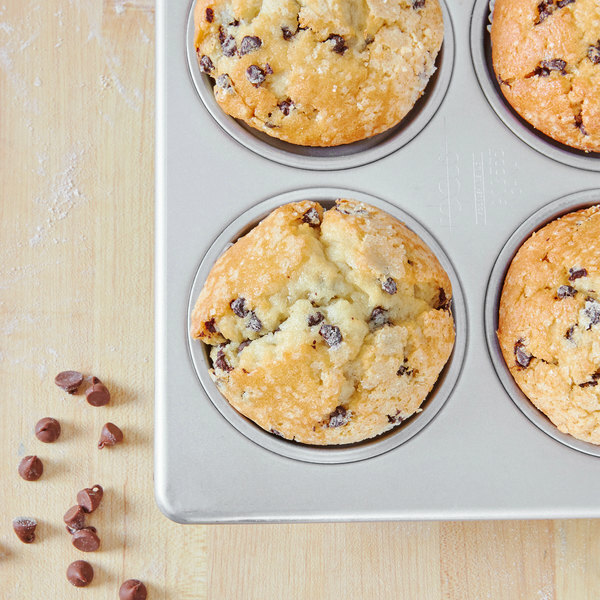 This pan has saved us from bad muffins.